MDEA agents allege the heroin, with a street value of more than $50,000, was destined for sale in Hancock and Washington Counties. HANCOCK, Maine — A heroin bust in Ellsworth Wednesday morning landed two people from Hancock County in jail. 32-year-old William Smeal of Hancock and his girlfriend, 21-year-old Savanna Adams, also of Hancock, were arrested and charged with aggravated trafficking in heroin Wednesday. 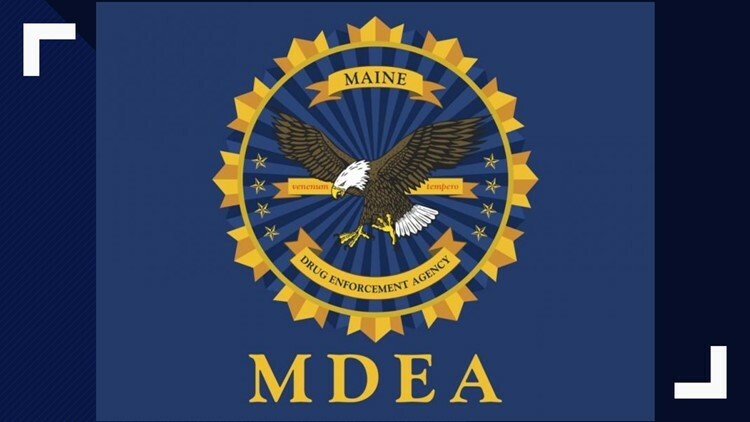 MDEA agents stopped a 2005 Mercedes on High Street in Ellsworth around 7:30 am. Using a search warrant, agents found more than 100 grams of packaged heroin hidden inside of the car, as well as $1,200 in cash, according to MDEA Commander Darrell Crandall. As part of a long-term investigation, agents had learned the day before of Smeal and Adams leaving the state, and so the agents followed Adams' vehicle back into the area Wednesday, resulting in the search and arrest. Adams and Smeal were taken to the Hancock County Jail, according to Crandall. Officials also seized their vehicle. After the initial arrest, agents and Hancock County Sheriff's deputies served a second search warrant on Smeal and Adams' home on Deerfield Drive in Hancock. They seized an additional forty grams of heroin there. Agents allege the heroin, with a street value of more than $50,000, was destined for sale in Hancock and Washington Counties. Smeal and Adams remain at the Hancock County Jail.